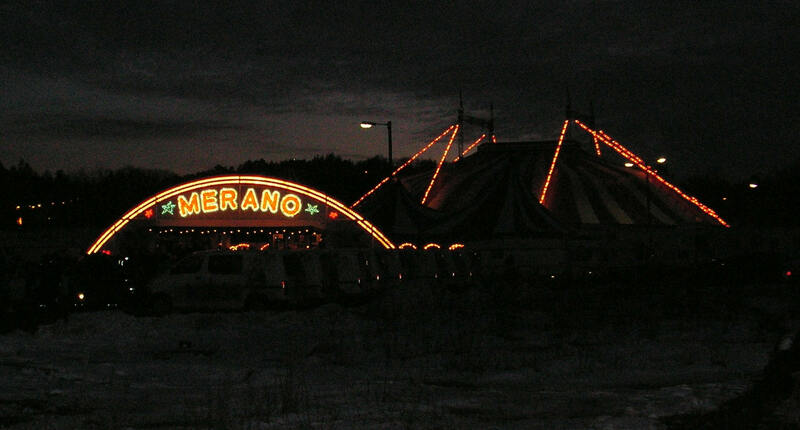 This seasons Merano premierè went to be a new success for Circus Merano, almost sold out in every performance, and nearly 8000 visitors for the first 5 performances in Fredrikstad . This year the show is dedicated to the whole family, with lots of impressing animal acts, but also plenty of humor, tempo and precision is also presented in a very well organised circus show. Meranos fantastic light arangement, in a perfect match with the Circus orchestra. Back in Merano this year is the reprise clown Christian Hofer from Graz in Austria, very funny with a mix of old and new acts. Very impressing act, performed in a swedish Pippi Longstocking look. Incredible to see how it is possible to train a horse like this, Rosi`s horse must be one of the worlds most inntelligent horses ?! Roger Mettin togheter with his wife Rosi perform a very entertaining act, with a perfect play between the human and the animals. Very nice act. Slow and very elegant act, Rüdiger Probst is a master with his six Andalusian horses. The Chinese troupe Nanjing , In a very high level those Chinese boys Juggles with huge and very heavy water pots. They throw the pots high up in the air and catch them again by the neck. A very impressing and visual act with a touch of a new presentation. David Kost coming from France and he makes a nice Washington trapeze act. wery nice and trilling act, and David make his performace without any safety line or net. Puyang Troupe was once more a award winning act from China. Fantastic acrobats in a combined Icarian game, springboard and a wery entertaining performance presentation. Wery beutiful act, and as the Merano souvenir program says: presented as a opera for the eye , we agree !! A ballet performed by up to two girls, at the shoulder and head of the third partner. New and never seen a act like this before. No real Circus Merano show without elephants. This year this is handeled by Adriana Folco Althoff . Lovely performance and a perfect harmony between Adriana and her elephant named baby. Circus Director Knut Dahl and his fantastic artists says thank you, and wish all a very warm welcome back another time. 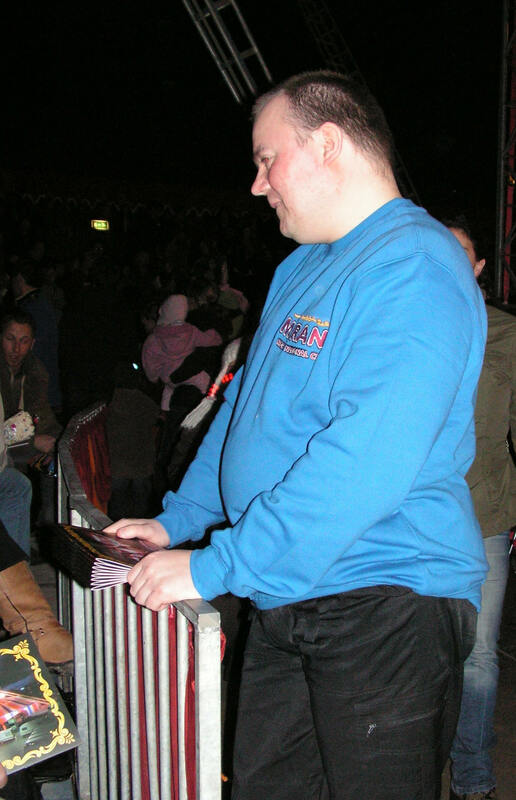 Arnt Helge Johansen at Circus Merano , is very busy in the front of the premiere with making shure that all guests having a great time. Because In the Circus Merano is the Service very high preciated.